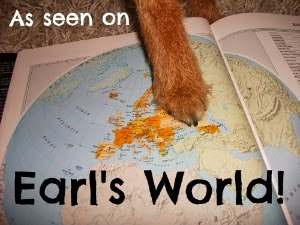 I was much excited this week to receive a sample box from the kind people over at Woof-Box. 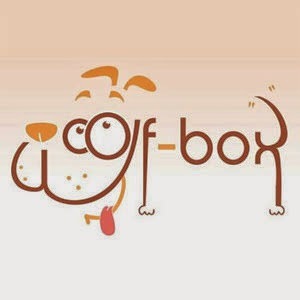 So what is Woof-Box exactly? "We believe dogs deserve the best, so we use suppliers such as Lily's Kitchen, Alpha and Ruby's, Hungry Hector, Thrive Pet Products and the Dog Bakery (These are just a tiny selection from our many quality suppliers) All our food suppliers are chosen because they use natural, healthy ingredients. Our toys and other products are just as carefully researched"
My box arrived on Tuesday, and I was very excited to see what was in it! I grabbed my best doggie friend Kali, and waited for the treats to come our way. 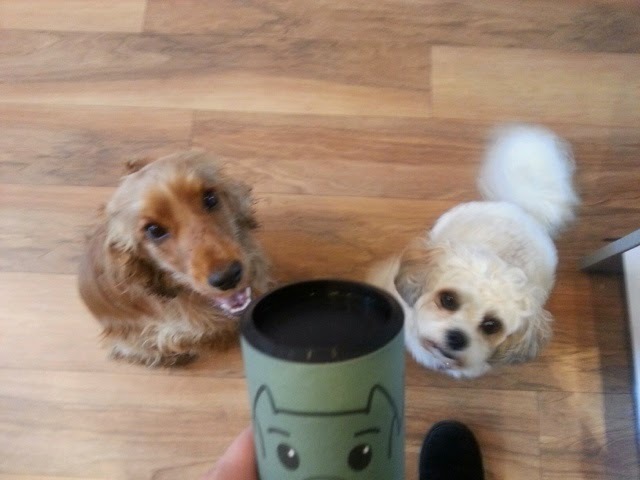 "Doggee" waste bag dispenser: an innovative product that can be used to easily store those often needed poo bags, and has a handy attachment to either clip on the lead or a keyring. Always useful to have an extra ball of baggies on hand! Gor Pets Goofy toy: This is a big squishy lamb with squeakers and rattles scattered about. We had great fun with this, but it did get a hole in it pretty quickly which was a shame. Pooch and Mutt Active Mobility: Kali and I went nuts over these. You can see in the pic just how rapt we are. The Hooman checked out the packaging, and they are high in Omega 3 to promote healthy joints. Lily's Kitchen Bedtime Biscuits: I have had these before and do love them. They have added honey, pro biotic yogurt, passionflower and chamomile and smell so yummy, even Hooman thinks they must taste good! Lily's Kitchen Little Liver Rewards: Nothing, NOTHING beats air or freeze dried liver. Paws up from Kali and me. There was also an included sample pack of the Lily's Kitchen Chicken & Duck kibble, which I haven't tried yet, but am sure will be as delicious as the other Lily's Kitchen goodies! 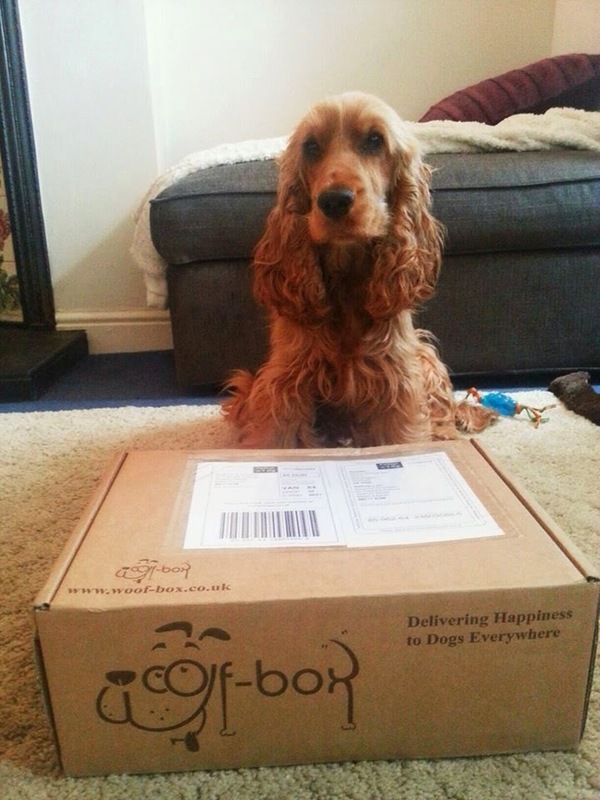 You can order the Woof-Box, from £17.99 a month with free delivery (by a trackable courier, so you can track its whereabouts on its way to you), dependent on your chosen subscription. This might sound a lot, but when Hooman did some calculations, the goodies came to over £20 worth of products. It would have been nice to have a chewie in there too, but the contents change every month, and chews are included on the website as options. 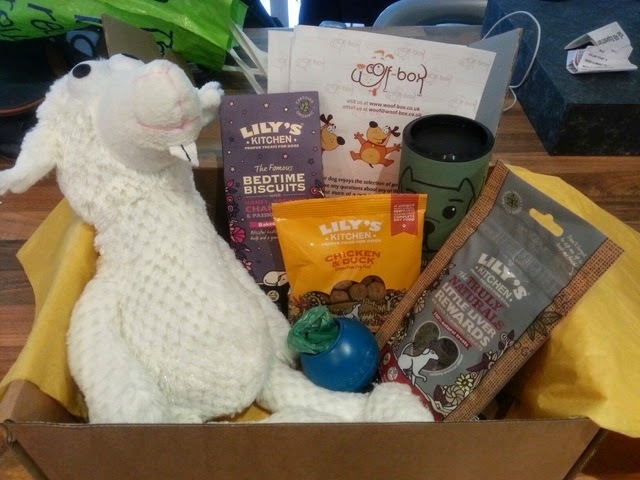 Altogether, Kali and I had a great time sampling the goodies and would recommend Woof-Box as a provider of high quality products containing great and healthy ingredients at a reasonable price. This product was provided for review. Wow that was a pawsome box of goodies. Enjoy. Have a tremendous Thursday. Looks like a great box of fun. Looks like some pawsome stuff you got in that box!!!! Thanks for sharing on the pet parade! Hi - I just hopped over here from the Blog Hop. It's nice to meet you. You are a cute doggie. WOW, you sure got a bunch of loot. There will be good eating at your house. Nice to meet you too! And lots of yummy things that the Hooman keeps out of my reach!